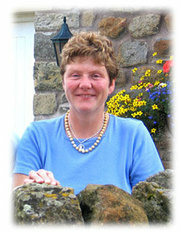 Layhead Farm Holiday cottages are owned by Rosemary Hyslop who, with her late husband Tim, farmed the surrounding land until 2001. Over a period of 17 years the cottages have been developed from original farm buildings into first class, self catering holiday accommodation with an emphasis on hospitality. Rosemary lives near the cottages at Field House and makes sure that all ages have an enjoyable stay, which is proven by the amount of times visitors return to Layhead Farm. Layhead Farm Holiday Cottages comprises an 18th Century farmhouse together with its stone barns, which have been carefully converted into comfortable, self catering holiday accommodation in the YORKSHIRE DALES and are of a very high standard. Tucked away down a private and secluded lane, Layhead Farm lies close to the village centre of Rathmell, near SETTLE. Here walled fields stretch up to rugged moors and fells or down through the lush meadows of the River Ribble Valley. This is a particularly quiet, placid place, yet only three miles from the market town of Settle with its shops, restaurants and pubs. Each cottage has stunning views over the rolling countryside and provides the all year round ideal base from which to explore some of the finest unspoilt natural beauties in England; those of the Yorkshire Dales and the Forest of Bowland. Look through our website and visit the individual cottages, all provided with modern amenities, linen and towels. The cottages are very flexible in that they provide the perfect base for two people up to large groups or for family celebrations. All cottages on site are WiFi enabled.